If Your Lavender Plant Is Partially Dead, Do You Cut Off the Dead Part? Evergreen shrubs often grown as decorative herbs, lavenders (Lavandula spp.) are prized for their fragrant purple flowers. Their gray-green leaves also release an aroma when rubbed or crushed. 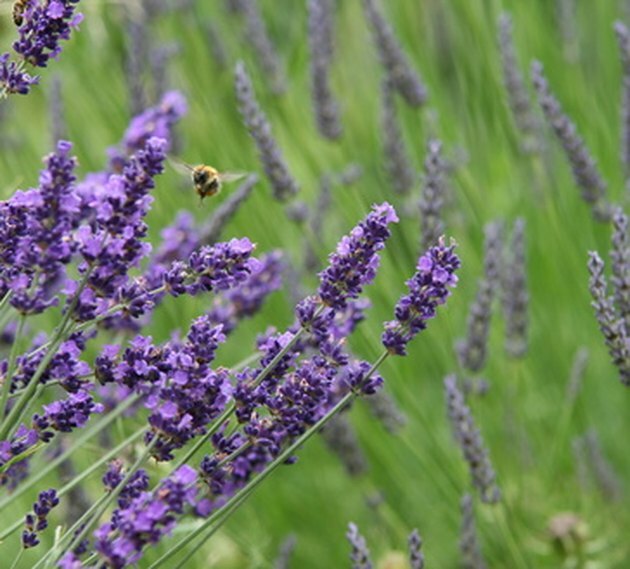 Many species and different cultivars of lavender are grown in the U.S., some more tolerant of winter cold or pruning. Remove dead branches of lavender any time of year, but keep in mind pruning during humid or wet weather increases chances for rot. Closely examine the lavender plant. Branches that are truly dead will be gray to black in color, dry and brittle. Trace the branch to its base and look for signs of life, such as living lower leaves or tiny buds beginning to open. Use sharp-bladed hand pruners and cut off the dead branch in the lavender shrub about 1 inch above a junction with a lower living branch or the main trunk stem. If the weather at the time of dead branch pruning is rainy or humid, postpone the pruning or cut 3 to 5 inches up from the lower branch junction on the dead branch. Annually pruned lavender grows more uniformly and flowers abundantly. To keep lavender plants lush and increase flower production, gardeners prune the shrubs annually. After the flowering season ends, prune back the shrub by one-third its original height with grass-shearing scissors, advises Mountain Valley Growers in Squaw Valley, California. You may also conduct the annual pruning of lavender shrubs in very early spring to encourage attractive new leaves and flowers, which may be delayed a month by the pruning maintenance. If the lavender plant is especially lopsided, is partially dead or lacks vigor, prune back the plant further, but not too much. 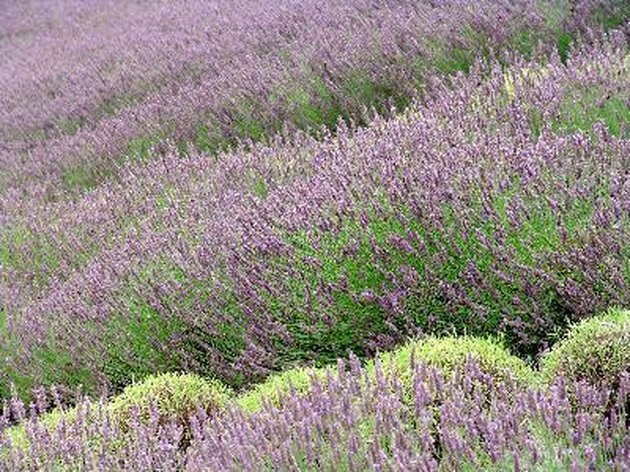 Lavenders rejuvenate well when the pruning is done into stem areas with living leaves. Avoid pruning back into lowest areas of the branches where no leaves grow. Bees and butterflies frequent lavender blossoms. 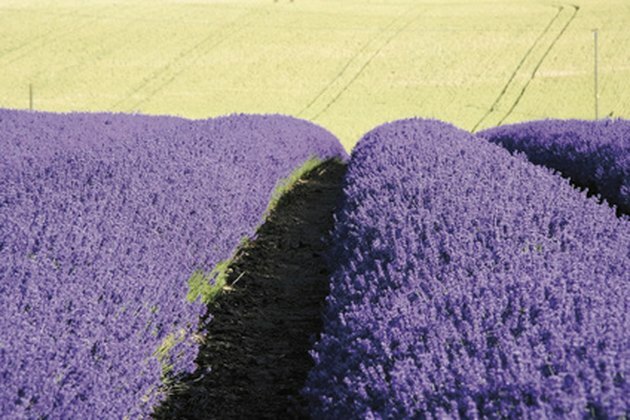 Around 25 species of lavender exist. 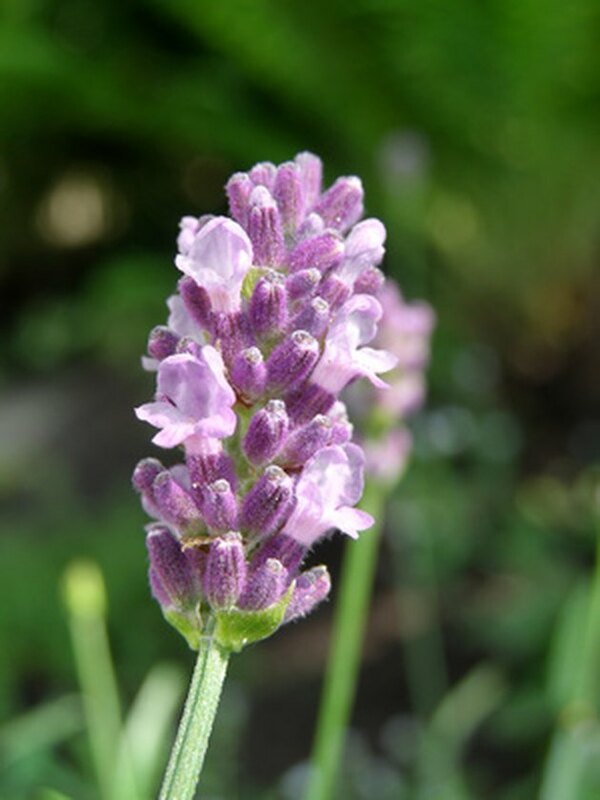 English lavender (Lavandula angustifolia), French lavender (L. stoechas), sweet lavender (L. x heterophylla), Canary Island lavender (L. canariensis) and lavandin (L. x intermedia) are the species most frequently encountered in gardens or available for purchase. Each species may include a wide array of cultivars with different flower or foliage colors or mature plant sizes. When it comes to pruning, only Canary Island lavender does not respond well to harsh pruning, according to "Sunset Western Garden Book." Avoid pruning lavender during humid and rainy seasons. In dry spring and summer climates, pruning to remove dead branches rarely if ever results in fungal rot problems. Annual pruning to shape and rejuvenate during the relatively dry spring and summer weather also doesn't cause worry. However, in the Gulf Coast states and Florida, where summers are very humid and thunderstorms frequent, it's best to avoid pruning. If possible, look at lavender plants in early spring and ascertain if any dead branches warrant prompt removal. Time annual pruning for early spring before the humid or rainy season starts. Can You Trim Bushes When They're Wet?